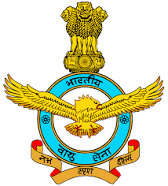 Indian Air Force - IAF published an official notification for Recruitment of Superintendent & Storekeeper for 95 posts. Eligible candidates can apply for this recruitment. You can view more details about this recruitment including No. of posts, name of post, Educational qualification, Age limit, Selection process, How to apply etc... You can also view official notification and other important facts about this recruitment e.g. Important links and Important dates. Superintendent (Store): Graduate Degree of a recognized University or equivalent. Experience: Experience in handling Stores and Keeping Accounts in a Store of a concern or repute in Public or Private Sector. Store Keeper: Matric with 12th Class or equivalent from a recognised Board or University. Experience: Experience in handling Stores and Keeping Accounts in a Store of a concern or repute in Public Sector or Private Sector. Final selection will be based on Written Test, Skill Test, and Practical Test. Interested and eligible candidates can send their application in prescribed format to below mentioned address along with necessary documents. The envelope containing application must be superscribed in block letters as “APPLICATION FOR THE POST OF ______ & Category ______. Candidates are required to enclose photocopies of following documents while sending the application:- (a) Self attested copy of matriculation certificate and other certificates showing essential qualification as required for the post. (b) Self attested copies of certificates of marksheet in support of educational qualification of the candidate as mentioned in the application form. (c) 02 self attested recent passport size photographs, one pasted on the application form at the space provided and other at the Admit Card part of the application. (d) Self attested copy of SC/ST/OBC/PH certificate as applicable. (e) Self-addressed envelope of size 24 x 11 cms with postal stamp of Rs. 5/- affixed thereon. (f) Any other document supporting their candidature.